Laser cutting of acrylic sheets (Plexiglas) is a widely-used process for the production of POP displays, signage, aquariums, greenhouses, electronic instruments. Laser cutting acrylic is developing a clear smoke with distinct sweet smell. At Induflex it is removed from production with powerful suction in the laser machines. The fumes are filtered mechanically and discharged through a chimney. Induflex have been laser cutting acrylic since 1998 and today has 6 laser cutting machines. This makes Induflex one of the largest manufacturers in Europe. At the same time is Induflex geographically located in a combined industrial and residential area, which requires Induflex to comply with the strictest environmental requirements possible. Due to the large production and location Induflex was in 2013 required to document that all environmental requirements to odors and concentrations was complied. The first studies showed that Induflex exceeded the limit values for both odor and concentration in the immediate area and Induflex was required to resolve the issue before October, 2014. Induflex have therefore investigated the possibility of purification of the fumes from laser cutting acrylic and, in the interests of employees and neighbors, the health and environmental impacts. Sources used are marked with  and can be downloaded at the bottom of this page. They are all in Danish, but they refer to other English sources. It is disclosed as an organic substance, because it contains carbon (C). The carbon is bonded to oxygen and hydrogen. MMA is produced from oil and natural gas by a few large manufacturers all over the world. From there the MMA is distributed to manufacturers of acrylic sheets, rods and granules. In Induflex's feasibility study on flue gas treatment Induflex was in contact with the company "Infuser Aps" which in August 2014 took samples of the smoke from the lasers at Induflex. The samples were analyzed at the University of Copenhagen. The result is shown below. The fumes from the laser cutting of acrylic consists mainly of MMA. Infuser conclude in their study , that the smoke consists mainly of one substance - MMA and therefore is a prime candidate for treatment in their installation. Acrylic placed outside is highly resistant to the elements. It will only slowly degrade and can remain outside for decades. In contrast, MMA is highly unstable when exposed to oxygen and UV radiation. After 7 hours, half has degraded . MMA will eventually degrade to carbon dioxide and water. Acrylic can be recycled, but since a considerable percentage is used in common household products it ends up in waste incineration or junkyards. Acrylic is widely used in the food industry. Both cast and extruded acrylic is, by the EU, approved for direct contact with food. Furthermore, it is used by dentists and is part of surgical implants, including bone cement. The authorization to use acrylic and MMA with both food and implants means that any adverse effects are studied carefully. The Danish health authorities has included MMA in the assessment of different health effects . The assessment concludes that MMA with prolonged direct contact on the skin can cause allergies and discomfort in the respiratory tract when inhaled. However, that is at high concentrations. In low concentrations, it has no known harmful effects. In Denmark, the largest manufacturer of acrylic is Altuglas in Brønderslev (formerly Repsol). In the production, they handle large amounts of MMA. Both as liquid and vapor. Altuglas emit MMA as wastewater in a quantity that requires an environmental permit. The biological effects of MMA has therefore been investigated by the company “Hedeselskabet”. The report concludes that the bacteria in sewer will not be hampered by emissions and half-life of MMA in the sludge is 59 hours. Based on the report, Altuglas today has permit to discharge diluted MMA without prior purification. MMA fumes from the exhaust at Altuglas are today degraded in their own incinerators. The report from the Danish Health Authorities  conclude that the potential for bioaccumulated is very low and will not likely to cause damage to sewage plants. Based on the report from Infuser Induflex has in the investigation primarily looked at the influence of MMA and any health problems. MMA has a sweet fruity odor that can be smelled in small amounts. 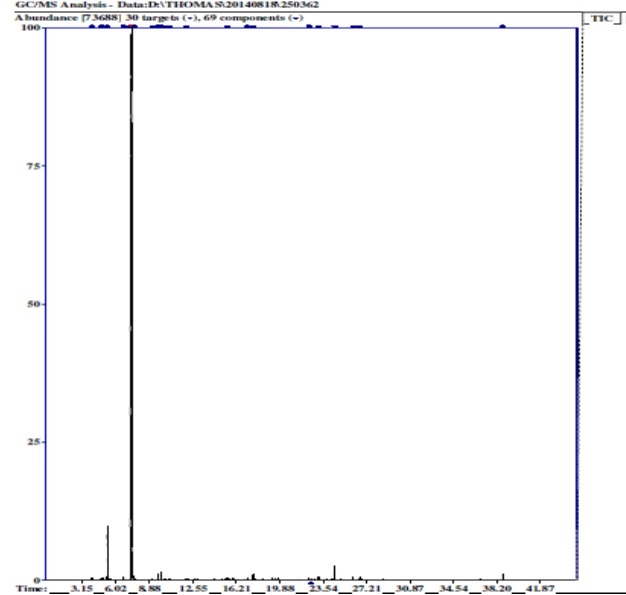 We assess the concentrations of 0.05 ppm may can be noticed. The limit for MMA in a production such as Induflex is 480 times higher, 24 ppm. However, in a production, that will never occur. It would be unbearable. The report from the Danish Health Authorities contains results from animal tests made with MMA concentrations well above the limit. It concluded "In humans, there are no symptoms of serious health effects from long-term inhalation of up to 50 ppm" . It is estimated that a daily, continuous lifelong inhalation of 0.17 ppm MMA has no significant risk of harm. There are no indications that it damaging to inhale and it degrades quickly and does not accumulate in organisms . MMA is NOT on the Danish Health Authorities list of unwanted substances and allows emissions of MMA of 2000 grams/h before a facility has to start cleaning. Induflex emit far below that. It is therefore only odor and concentration among neighbors that determine the necessary actions. Cleaning using water. MMA is broken down by water. It should therefore be possible to “wash out” the MMA from the air. Either through atomized water or through a water tank. We are not aware of any trials. Cleaning with ozone. MMA is decomposed by oxygen. Therefore, it should be quickly using ozone. There are plants that clean the air with ozone, but it has not been tested on MMA. Cleaning with an electrostatic filter. A devise was test by Induflex, unfortunately without any recorded effect. Possibly due to the large air volume with little concentration. Active carbon filter. The only solution for the purification of air, which is known to have been tested. In Denmark there are between 30 and 40 companies using lasers for cutting acrylic. At least three companies have tried a active carbon filter. None of the facilities are currently in operation. One company has moved production abroad. Another has built a chimney. The third company no longer exists. Unfortunately, the experience with active carbon is, that it is difficult to maintain and expensive. Active carbon itself is also categorized as hazardous waste, which must be disposed in an incinerator. The result is that an attempt to remove a material that is (MMA) in the given concentration is safe and is rapidly degraded, with one that is environmentally problematic. The problem is solved by creating a larger waste problem somewhere else. Burning. Altuglas is cleaning the air from MMA in an oven, but the low concentration of MMA in the air from laser cutting rule out the method. There is not enough MMA in the air to keep the combustion running. A chimney. The above solutions, 1-3 are purification methods that mimic how MMA is broken down in the atmosphere. If the chimney is high enough, the natural degradation and the spreading means that nobody will notice the emission. Induflex got in 2014 permission to build a 20-meter-high chimney. Induflex department for laser cutting is estimated to consist of 95% acrylic. The remainder comes from the protective foil consisting of polyethylene (turns into water and C02 by laser cutting), among others. Induflex has 6 lasers, which are all modified with much stronger suction than delivered by the manufacturer. The powerful suction means that even with full load there is no smell of acrylic (MMA) in the laser department. It also means that Induflex emit air with lower concentrations of MMA than other similar companies. 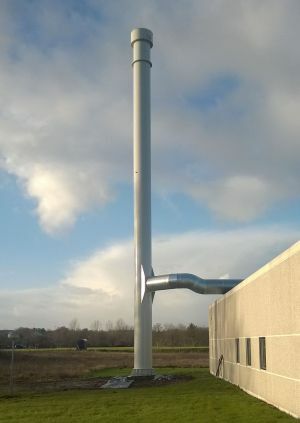 An accredited study by Force Technology  shows that Induflex, at full load, without a chimney, with the right wind direction, will affect the nearest neighbor with 0.11 ppm MMA. That is below the level considered safe by lifelong exposure. On average it would be far below 0.11 ppm. With a 20 meter chimney (erected in December 2014) has Force Technology calculated a concentration of a maximum of 0,007 ppm, which is below the Authorities requirements for concentration in residential areas. Odour Impact is also below the limits. 20-meter chimney. Estimated reduction of MMA concentration at the neighbors by a factor of 15th. Miljøstyrelsen, Øget videnberedskab om kemiske stoffer i plast..., side 258-266. Hedeselskabet, Bionedbrydelighed af spildevand fra Repsol Brønderslev. Hur får jag akrylämnen billigt? Hur stor är värmeutökningen för akryl?